Fitness is about building muscle or losing fat, or both at once. While the outlook might be the main goal, muscle-building/fat-shredding workouts come with a whole bunch of other health benefits. Muscles support our upright body posture and help preventing chronic pain. Lower body fat percentage helps our heart and other organs function better. Both support our longevity and help us enjoy an active, healthy life. Fitness is a lifestyle and yes, abs are still made in the kitchen. If you are looking to shape or tone your body for summer, you will have to dial in your nutrition as well. But if you are curious about new ways of training, we have eight full-body fitness workouts which will help you build muscle, burn fat and feel better overall. Complex routines save time and make more out of a less. They go well with everyday problems such as “on-the-road” or “no-time to work out”. The following workouts are a mix of strength, stability and cardio. Some are classic bodybuilding sessions, others will make you shake and sweat. All of them are more fun than the old school split-days routines. Have a look at our list of 8 full-body fitness workouts. The following workout has a classic hypertrophy scheme: 3 sets of 8-12 reps, same weight, of everything. Try to push as hard as you can, but make sure your technique stays clean. Do not perform it more than three times a week. Keep the weights low but pay attention to technique and body awareness. This fitness routine is a mix of strength, stability and a little bit of aerobics at the very end of the workout. This session will make you sweat. Rest three minutes between each superset. Do not rush, but try to rest as little as possible between the four rounds of exercises. If you like the pain, this is one of the full-body fitness workouts you necessarily have to try. Keep the tempo slow and focus on targeting the main muscles groups: legs in set one, upper body in set two. You do not need equipment to do a good training. Just follow those rules: touch your knee with both hands at the lower point of each single leg deadlift and keep your back straight. Use a chair or a table to support your dips. This is a quick, simple routine that takes no more than 15 minutes. If you have gym equipment such as dumbbells or kettelbells, use them for the first two exercises. If not, not worries, pace yourself faster to make the set more challenging. Find a steep hill. If you don’t have a bar, or a tree, for pull ups, swap them with push ups. Repeat the set 3-4 times, rest and recover fully between the rounds. This is that one workout where your stomach might get a bit upset. The workout should be done at lower intensity. If you can’t do a push up (yet), find a bench or a tree and scale it. Do not sprint or exhaust yourself within the first minutes of the workout. Your goal is to move for 20-30 minutes. 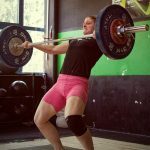 If you feel insecure about the technique or execution of a certain exercise, find a certified trainer and learn the movements first. Keep health a priority. But also, whatever workout you decide to tackle on, make sure you have fun.